I love new books and trying out new resources. I’m very difficult to impress and usually have 4/5 books that I dip in and out of but this years Irish publications are really excellent. 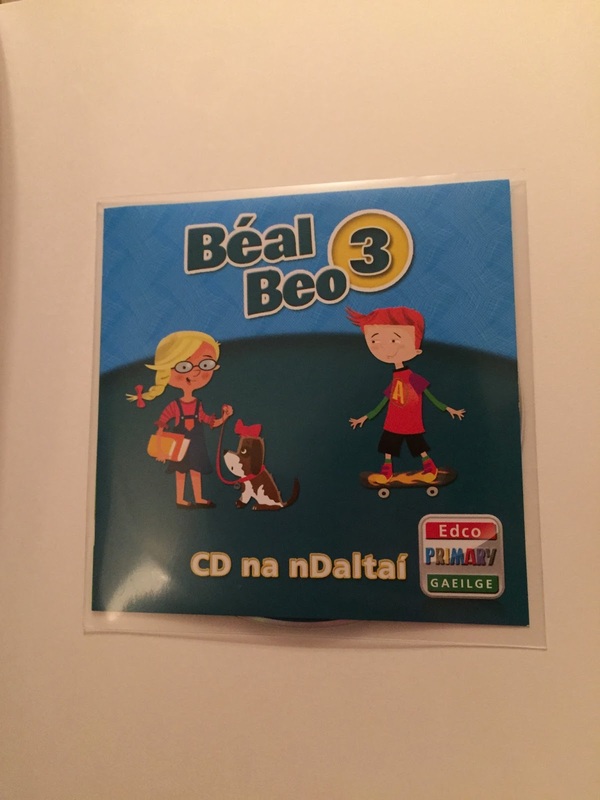 Béal Beo is a new Irish language programme from EDCO for 3rd – 6th class. 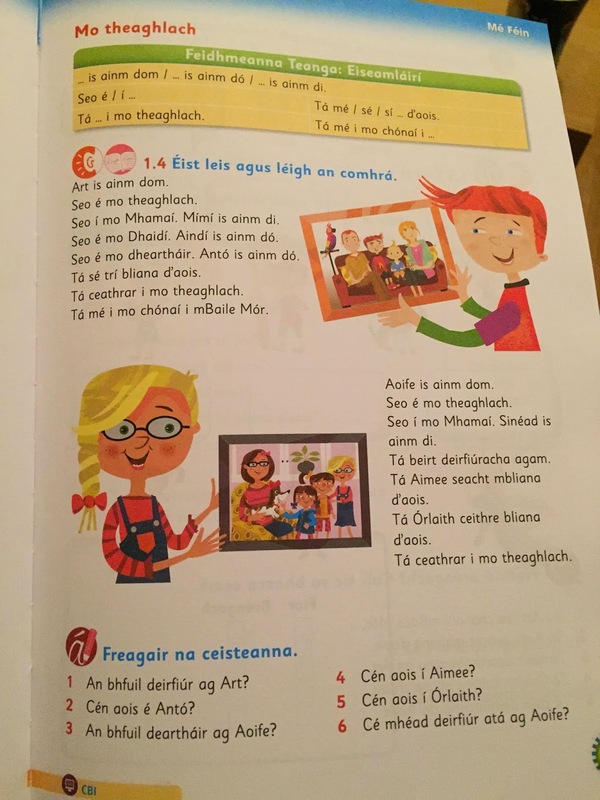 The book is broken into each of the themes – Mé Féin, Sa Bhaile, Ar Scoil, Bia, Siopadóireacht, Éadaí, An Aimsir, An Teilifis, Caitheamh Aimsire, agus Ócáidí Speisialta. Each theme has 3 weeks worth of work. 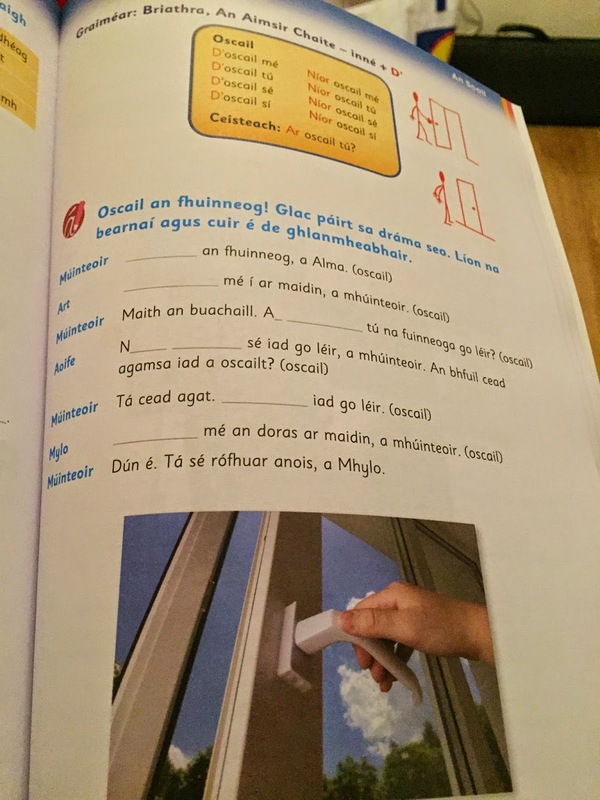 The start of each week has ‘Feidhmeanna Teanga; Eiseamláirí where the key phrases are listed. These phrases are then used throughout the weeks work. 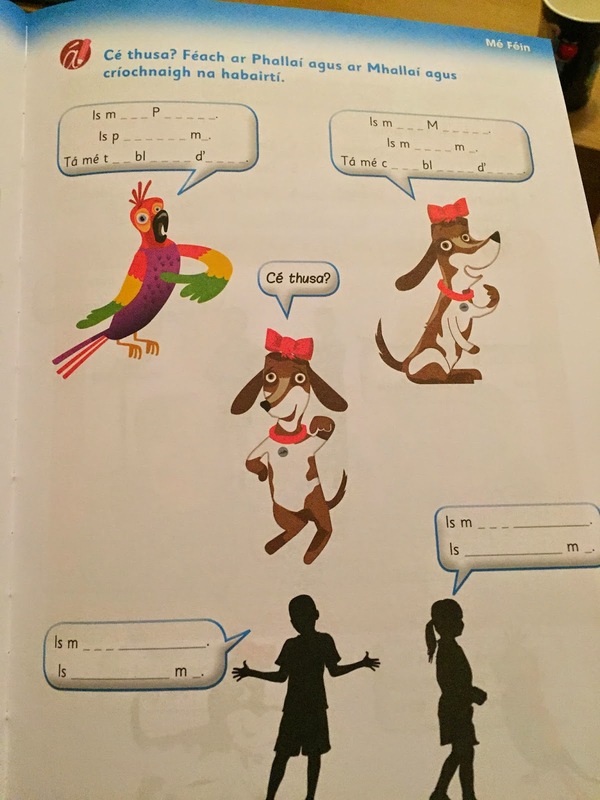 This provides repetition which enables the children to learn the phrases. 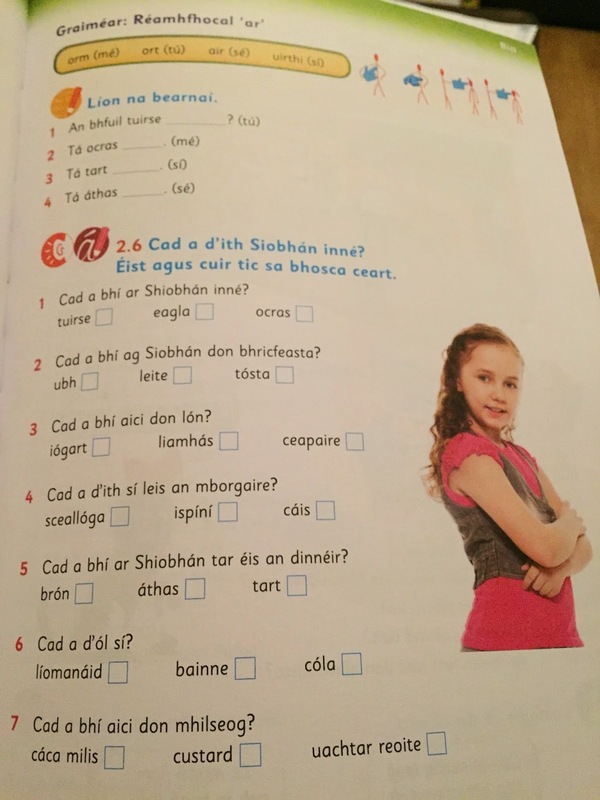 There are also different activities for éisteacht, labhairt, léitheoireacht agus scríobhneoireacht. 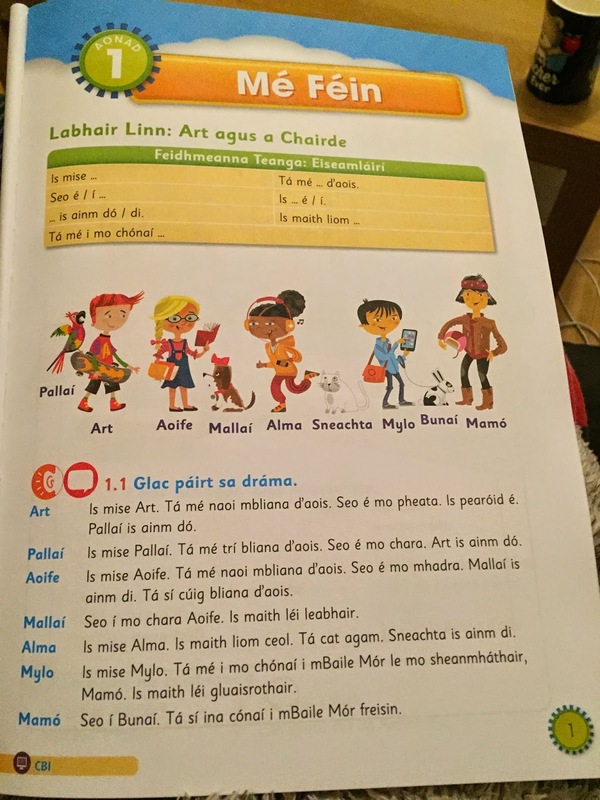 as well as an introduction to each of the characters;Pallaí (parrot), Art, Aoife, Mallaí (madra), Alma, Sneachta (cat), mylo, Bunaí (bunny) agus Mamó. The first person (Pallaí) is almost complete -just missing a few letters. to complete this independently by the last person. This page on ‘An Aimsir’ has clear photographs to depict each of the seasons. 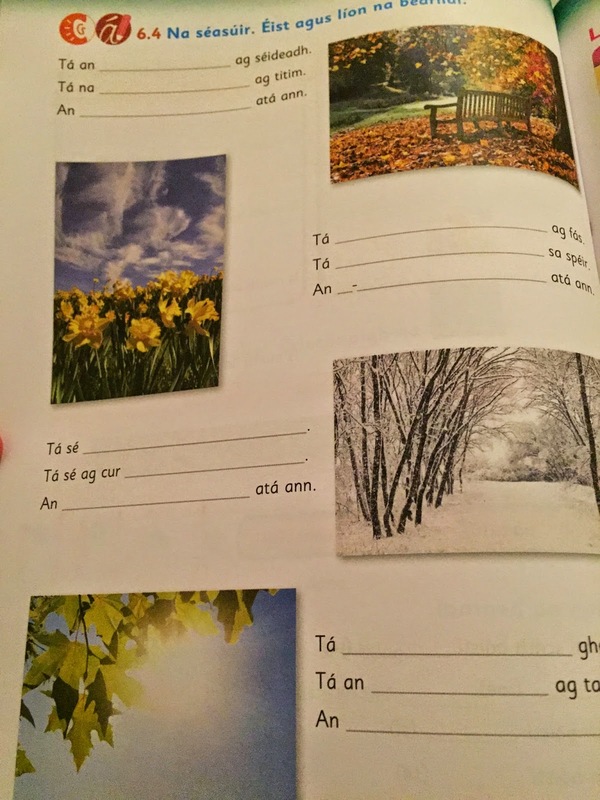 There is a grammar section in each week where children practice the grammar skills. 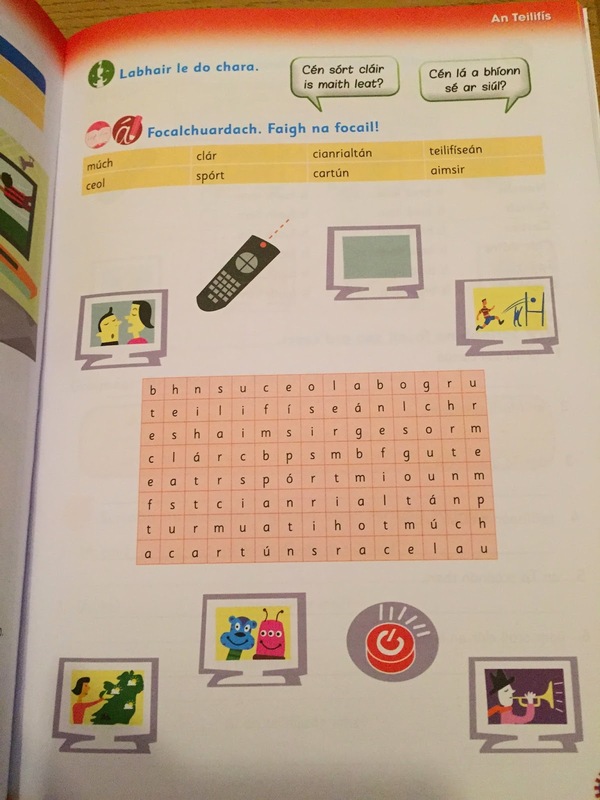 where children use the vocabulary they know to solve the puzzles. 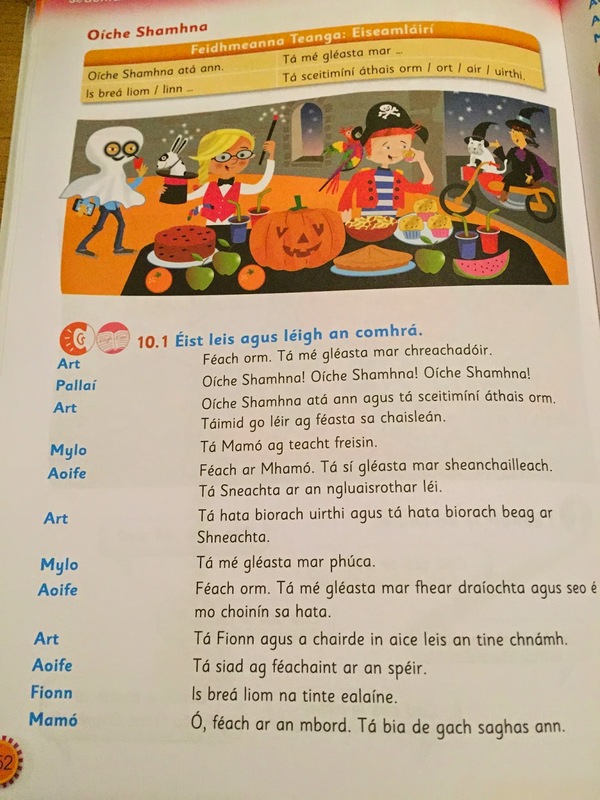 Oíche Shamhna, An Nollaig, An Cháisc are covered in Ócáidí Speisialta. There is also a student CD included with the book. to practice their listening skills and improve understanding. There is also an interactive component of this resource which you can trial on the EDCO website. 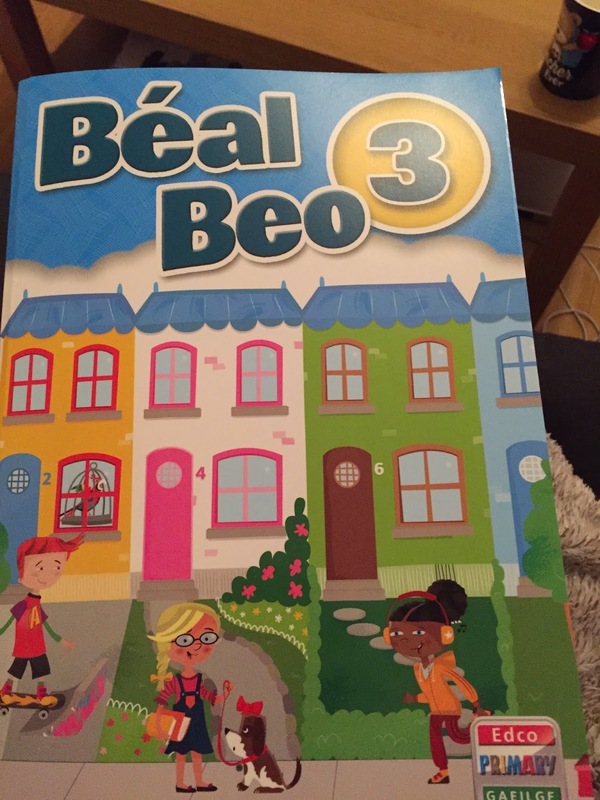 Overall this is a colourful, interactive and interesting resource for children and for the teacher too. 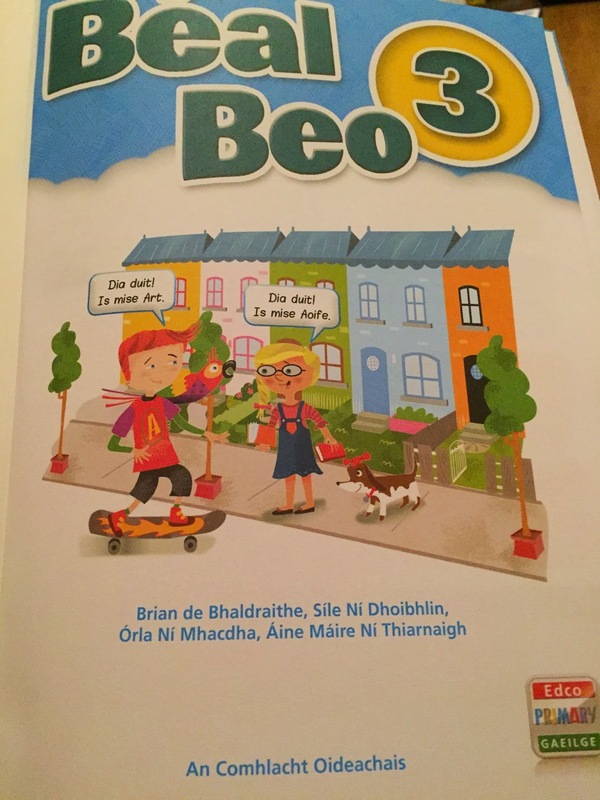 There is a collection of characters which the children can relate to. There is a range of activities to support the children’s learning.